24 Hour Telethon @ MTN!!! To DONATE to MTN's move go to www.mtn.org and click on our donate button. MTN will be moving to the Thorp Building, located at 1620 Central Avenue in Northeast Minneapolis’s central business corridor and managed by Bohm Commercial Real Estate in late March 2015. 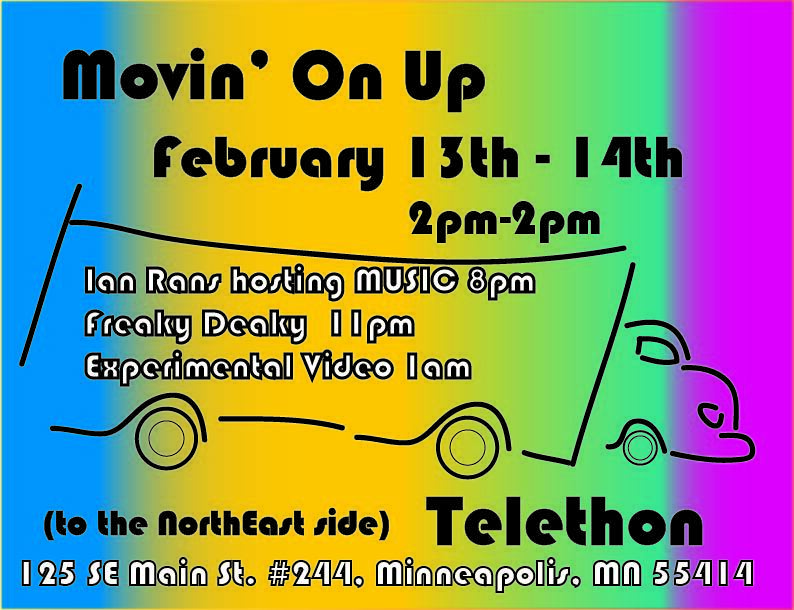 To support this move to our new studios in Northeast Minneapolis, the Minneapolis Television Network (MTN) will be presenting, starting on February 13 at 2 pm, a Movin’ On Up Telethon. This unprecedented, twenty four-hour, Minneapolis-focused live TV and WEBCAST (www.mtn.org/channel-16-webstream) celebration is designed, first and foremost, to highlight the various producers, artists, entertainers, and community activists. Appearing at this event will be a wide range of music acts, MTN entertainment legends Ian Rans, the reemergence of the famed “Freaky Deaky Show,” impromptu songs by Mark Mallman, Alexei Moon Casselle of “Kill the Vultures,” Downrange Telemetrics, Council Member Jacob Frey will stop by, Robin Robinson will be itnerviewed Saturday, and much more. “We are getting together a host of local talent—great musicians, quirky artists, edgy performers—all for the purpose of celebrating what is, and has long been, great about MTN,” said MTN’s Marketing and Outreach Manager, Paige Tighe. Do you use iMovieHD or iMovie 9? Please read this note about new changes and DISCOUNT CLASSES being offered to you at MTN. During MTN's move to a new space, we will be updating our computer systems and software. After the move, iMovieHD and iMovie9 will only be available on one editing suite. MTN will delete both programs from our systems, permanently, by June 1st, 2015. DON'T WORRY! Starting in March, MTN will be offering DRAMATICALLY DISCOUNTED upgrade classes. Learn iMovie11 at roughly 80% off March-May, 2015. For just $10, any member who is currently certified in iMovieHD or 9 can upgrade to iMovie 11. * By June 1st, all members will be required to pay the full iMovie 11 price to be trained, so don't miss this opportunity to upgrade for just $10! You can begin registering for these classes by March 1st. **These older versions of iMovie are no longer supported by their manufacturer, Apple Inc. Therefore, MTN is not able to ensure these programs will work consistently. 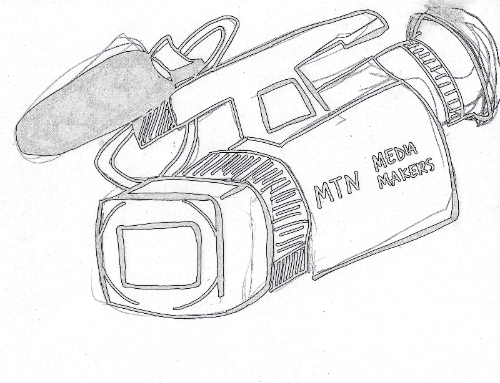 By removing these systems, MTN hopes to eliminate many of the common frustrations our members have in our editing suites. The nominal upgrade fee is to provide our MTN instructor with their teaching income. Copyright © 2015 Minneapolis Television Network, All rights reserved.